Natural selection acts on individuals, but only populations evolve. Genetic variations in populations contribute to evolution. 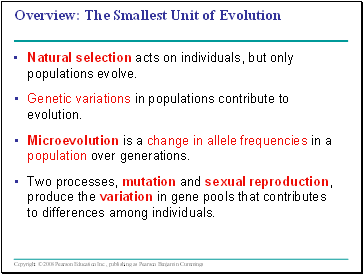 Microevolution is a change in allele frequencies in a population over generations. Two processes, mutation and sexual reproduction, produce the variation in gene pools that contributes to differences among individuals. Population geneticists measure polymorphisms in a population by determining the amount of heterozygosity at the gene and molecular levels. 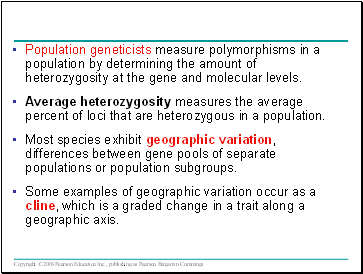 Average heterozygosity measures the average percent of loci that are heterozygous in a population. Most species exhibit geographic variation, differences between gene pools of separate populations or population subgroups. 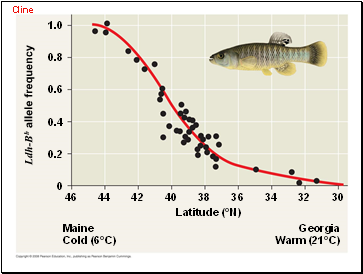 Some examples of geographic variation occur as a cline, which is a graded change in a trait along a geographic axis. Mutations are changes in the nucleotide sequence of DNA. Mutations cause new genes and alleles to arise. Only mutations in cells that produce gametes can be passed to offspring. 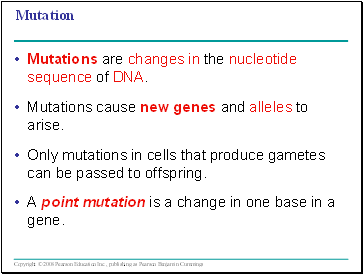 A point mutation is a change in one base in a gene. Mutations in noncoding regions of DNA are often harmless. Mutations in a gene might not affect protein production because of redundancy in the genetic code. 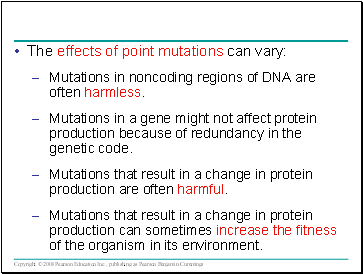 Mutations that result in a change in protein production are often harmful. Mutations that result in a change in protein production can sometimes increase the fitness of the organism in its environment. 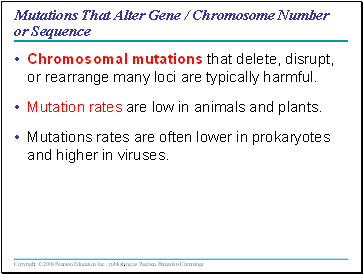 Chromosomal mutations that delete, disrupt, or rearrange many loci are typically harmful. 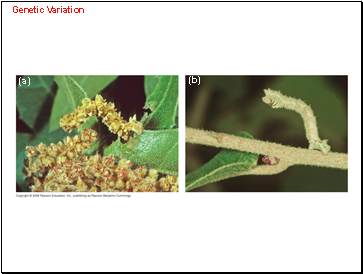 Mutation rates are low in animals and plants. Mutations rates are often lower in prokaryotes and higher in viruses. 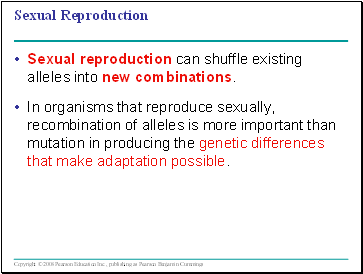 Sexual reproduction can shuffle existing alleles into new combinations.